As a requirement from our friend, Constantino. "...in Santa Catarina, my homeland is also the land of the word famous orchid Laelia purpurata. Here in Joinville, my town, we have a very classic association of people fond of these plants. 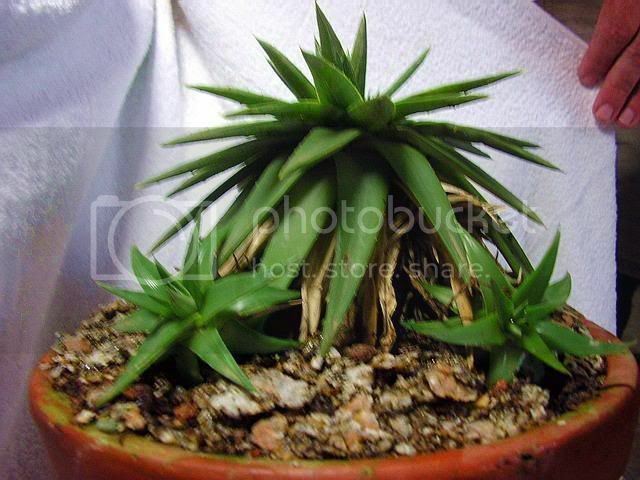 The oldest guy, a 92 years old, gave me a special Dyckia that he had kept for more than 50 years. from the west in our highlands some 300km away from here. a dyckia flower stalk bearing large white flowers. 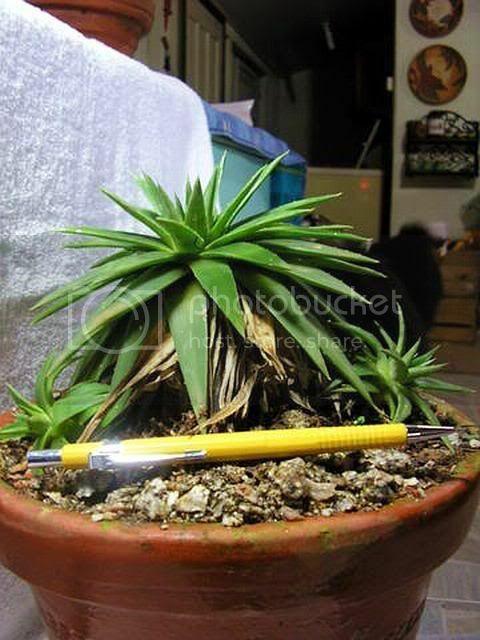 The picture is blured cause the dyckia was not the aim of it but the orchid. but we all think it is a myth or a legend. These field relator are at the Itajaí Herbarium that keeps part of the Dr. Raulino Reitz writings. The plant even adult is small, the smallest I have seen up to now. It fits inside your hand. and the lower leaves are pointed to the ground. It is not a tall plant. The trunk has the same lenght of the leaves so the appearence is of a ball of leaves. The old straw like leaves do not stay flat to the ground, they hang close to the trunk. Mine has three offsets and the youngs are iqual to the old plant. The spines are very unconspicuous, in fact they are tiny, but firm and our skin ackes with the injuries they produce..."
but I could not find any data of it. Doc. Nat. 3: 33 (1982). Any way, this must be proved out when Constantino's plant get flower, I hope nearly soon. are sometimes really hard to read. Not because they are in english, but because they are soooooo looooong. I keep reading and reading ......... but I still cannot get your point. So what is it you want to know ? Sorry Timm for my mesages being sooooo loo...ong, I beg your very pardon. I do not want to know anything.That may be the reason for you do not get to any point. I just wanted to show, to share, to say, to present. I live in Brazil and I guess I could show you and to the others someting brand new and intriguing. I do not necessarily wanted to know anything. I love to read, to write and learning. Maybe it was based on this fact for my messages being so long, maybe and just maybe I have much so say. But I will be the shortest as possible from now on. 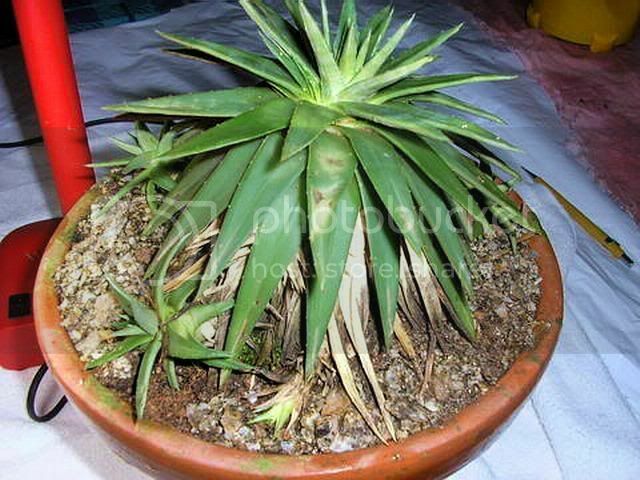 The plant and it turned to be Dyckia distachia aurea. This subspecies is lost in nature. The flowers turned to be golden with big petals. I am just informing.Thanks.